On September 14, 2007, David Cronenberg’s Eastern Promises, a powerhouse thriller about the Russian mob in London, opened in theaters. Set in London, the story follows a midwife (Naomi Watts) who is slowly drawn into the shadowy world of human trafficking and organized crime. Her quest to uncover the truth about a teenage girl who died giving birth leads her to Nikolai Luzhin (Viggo Mortensen), a mysterious mob driver with more secrets than answers. Cronenberg’s violent and visceral take on this criminal demiworld was immediately greeted with acclaim and applause. Later that year, Eastern Promises appeared on scores of year-end “10 Best” lists as well as received various BAFTA, Golden Globe, and Academy Award nominations. As we celebrate Focus Features' 15th Anniversary, we proudly salute Eastern Promises’ ten-year mark by showcasing five things, from mob tattoos to naked knife fights, that make this crime thriller still capable of delivering on its promise of cinematic excitement. Get Eastern Promises now on iTunes or at Amazon. 1) Mortensen showed us the depth of his acting genius. When Cronenberg signed on to direct Eastern Promises, he knew he wanted Viggo Mortensen for his lead actor. “In reading the script, I immediately thought of him,” Cronenberg remembers. “Viggo is a brilliant actor, beyond what people realize.” Even more Mortensen proved a significant collaborator, traveling to the Urals to bring back original research on his character and Russian culture—even going so far as to learn how to speak the language. Critics were bowled over by his transformation. “Mortensen uses the accent, the posture, the eerie stillness to devastating effect,” exclaims Rolling Stone. “It's a Mortensen tour de force.” So much so that he was nominated for an Academy Award for Best Actor. 2) Eastern Promises cemented David Cronenberg's reputation. Village Voice’s J. Hoberman proclaims at the start of his review: “David Cronenberg is the most provocative, original, and consistently excellent North American director of his generation." 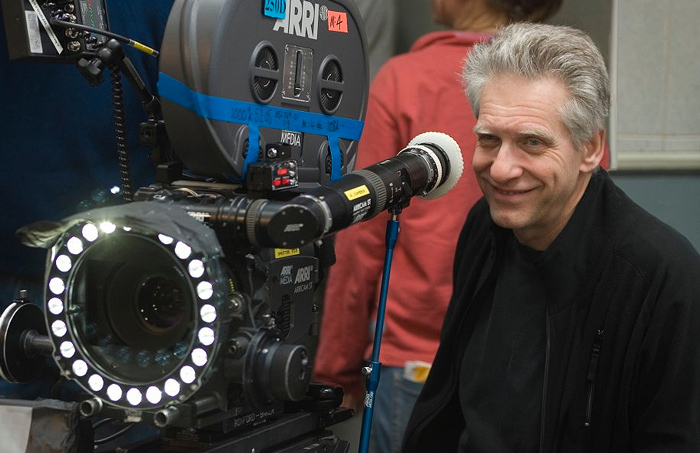 Having made his name with a series of bold and brainy horror films, Cronenberg proved no less ambitious––or audacious––when he turned his talents to making a crime thriller. After its premiere, Variety wrote, “Eastern Promises instantly takes its place among David Cronenberg’s very best films.” And it has remained on top with AMC ranking it as his most popular movie to date. David Cronenberg on the set of Eastern Promises. 3) It rewrote the rules for great movie fights. Viggo Mortensen fights for his life in Eastern Promises. 4) It reveals the secret world of criminal tattoos. With its meticulous documenting of the Russian mob, Eastern Promises brings to light how criminals chronicle their nefarious exploits with prison tattoos. Inspired by Alix Lambert’s documentary The Mark of Cain, Mortensen worked with makeup artist Stephan Dupuis to create exactly the right tattoos for his character. Their work proved almost too successful. “I had to remove the visible ones when I went out anywhere, they really did scare some people,” Mortensen recounts. Viggo Mortensen bares all for his part in Eastern Promises. 5) Even the Mob loves the film. 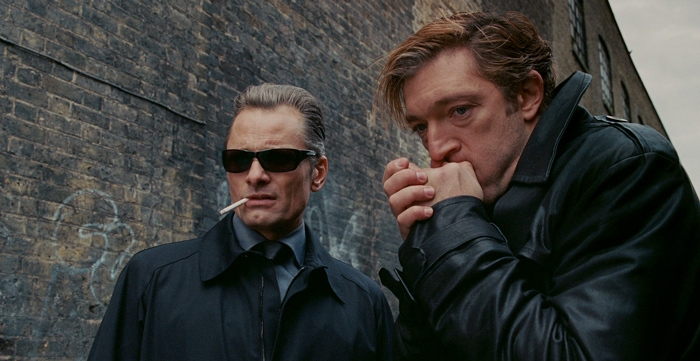 Mortensen and Vincent Cassel as Russian mobsters in Eastern Promises.